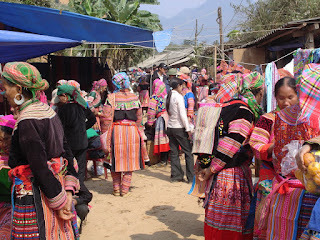 Muong Khuong Market, the most important market of the local ethnic peoples takes place on every Sunday, is always crowded with some thousands minority people from early morning. Bordering with Chinese Yunnan Procince, Muong Khuong is a district of Lao Cai Province which is home to a diversity of ethnic minority groups including H’mong, Zao, Nung, Pa Zi and Tu Zi. 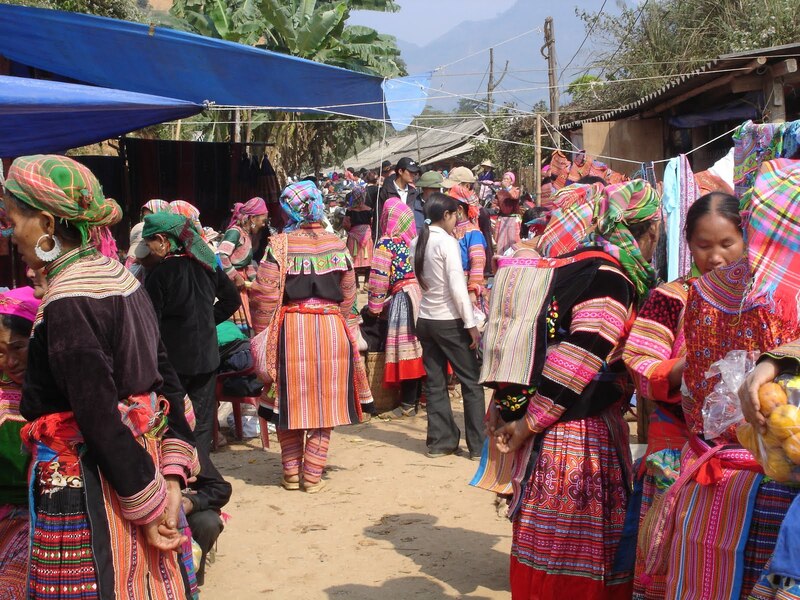 Located at the center of the township, Muong Khuong Market, the most important market of the local ethnic peoples takes place on every Sunday, is always crowded with some thousands minority people from early morning. The H’mong and the Zao peoples, especially women are always wear their best colorful traditional costume and take the largest number. The Tu Zi and Pazi are of minor number but their traditional costume are of special model with dark color and high top hats. There are also many ethnic minority people come from the other side of the border, who often bring cheap Chinese made commodity to add to the variety of goods for sales at the market. Beside a collection of most popular commodity such as clothes, vegetable, food, farming tools, animals… which can be found in other market in the regions, some local specialties can be found at Muong Khuong Market including resin, incense made from tree bark, and medicinal herb for treatment together with acupuncture. 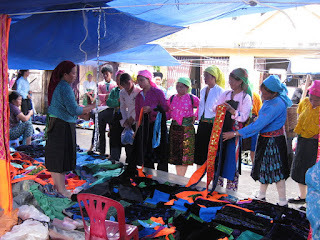 Our one day trip to Muong Khuong from Sapa or from Lao Cai for those clients taking Saturday night train from Hanoi offers not only a chance to join the ethnic locals at this impressive market but also many opportunities to pay visiting to near by villages and admiring stunning scenery around the region.